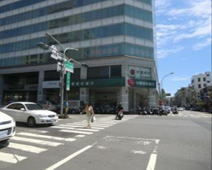 On Novermber 17th 2014, Kumasan Medix Co., Ltd. established and opened a branch in Tainan, Taiwan to be a new foreign baseThe Taiwan branch acts by performing semiconductor manufacturing equipment start-up, maintenance etc., and service engineering roles as a base and is making progress in the localization of engineers. With a motto of "Safety, Swiftly", they are steady in their daily work. Please expect good things from our Medix Taiwan engineers from here on.